If you are looking for a newborn photographer this blog post is for you. I’m going to give you the questions you should be asking your photographer, any photographer worth their weight will be able to answer these questions with no hesitation. It is very important to ask these questions before you book to be sure your photographer is what you are looking for and are they qualified in newborn photography. A lot of people tend to think if you are a photographer you will photograph everything as its all the same. Unfortunately this is not the case any why it is so important to choose wisely. Unfortunately the newborn photography industry in the UK is not regulated, Which means there are no specific tests or qualifications needed to be undertaken before offering this service; yes that’s right that means that in theory anyone with little or no experience with newborns can set up as a newborn photographer. As the trend gets more and more popular you will see more opportunistic people calling themselves newborn photographers, even photographers who specialize in other sectors will start to call themselves newborn photographers. This is worrying but this happens a lot, we’ve heard lots of horror stories of when things have gone wrong during a newborn photo shoot all because the babies have been put in the hands of an inexperienced and untrained photographer. If you don’t have any recommendations from and friend or family member about a ‘newborn photo session” then do you own research. Choose a professional photographer who specializes in Newborn photography, If someone is good at their job, they will be in demand and their prices will reflect that. Cut price photographers are usually untrained, uninsured and often offer a second grade service. Do you really want to settle for that? Most photographers are proud of their Training, Qualifications and Experience and will most likely be displayed on their website and social media but if not, don’t be afraid to ask them? Top newborn photographers attend training courses a few of times a year costing thousands of pounds. Even though there are no legal requirements, Newborn photographers are worth their weight in gold and would have undergone newborn safety training before even opening their doors. Any photographer who has had training will not get offended when you ask these questions, they understand that safety is the most important aspect during your session and will be more than happy to answer any questions you may have. Ask your photographer if they have a “Newborn Safety Certificate” certifying that they have met all the requirements that have be set out by “The Master Photographer Association”. Believe it or not there are only 21 photographers in the UK who meet these requirements and only 3 in Wales. But always check if they have at least had newborn safety training. We all understand there are loads of tutorials on YouTube about everything, even newborn photography but would you trust an electrician to come and rewire your house if they only had YouTube training? Probably not… So why would you trust a YouTube trained newborn photographer? Equally as important is experience, an experienced newborn photographer will feel very comfortable handling your baby (even twins or triplets). They would have worked with hundreds of newborn babies and will know how to pose your little one safely and comfortably and understand that every newborn reacts differently to posing . You may also be surprised on how easily they can soothe and comfort your newborn. Two of the main associations that specialize in newborns are “BANPAS” Baby And Newborn Photography Association and the MPA “The Master Photographer Association”. These are the three most important logo’s to look for. Photographers who are members of BANPAS will proudly display they logo on their website, to become a member the photographer has agree to follow a code of conduct set out by BANPAS. 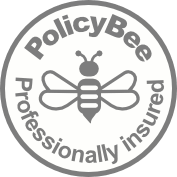 A Pro member would have had to send in proof of insurance and images to be assessed. 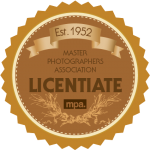 Photographers who are members of The MPA can only display “The Master Photographers Associations” logo once they are qualified. The photographer will be qualified in a certain genre i,e Newborn photography, Portrait photography, landscape photography and so forth. 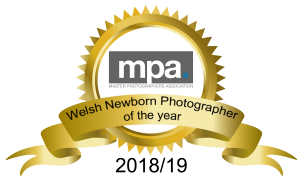 The MPA also offer a “Newborn safety certificate” to achieve this certificate the photographer has to demonstrate how they carry out newborn posing safely, they would also need to provide proof of their insurance and display 20 images to be judged by highly qualified photographers. 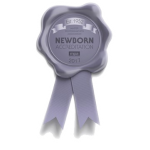 There are currently only 21 newborn photographers in the UK that have met these requirements and only 3 in Wales. Over the years we have heard some horror stories of baby being suspended in the air / babies being posed in uncomfortable poses and have been left unsupported. Professional and experienced newborn photographers should be able to show you how these complex images are taken. These are illusions called “COMPOSITES” and are taken over several images, these are then edited together during the editing process. Ask each photographer do they have an assistant during the photo shoot, even though this is not necessary… What is necessary is another pair of hands, supporting babies head and so forth. If they do not have an assistant then the extra pair of hands would be yours (the parents). If this is the case you would need to make sure you are comfortable with doing this, remember you will be offering support to your little one in complex posing and also will have just given birth and being a spotter could lead to hours on your knees, which could be very uncomfortable especially if you have had an emergency a C-section. If you would rather not undertake this responsibility then choose a photographer who has a trained assistant. You probably would enjoy the whole experience more, if you could just sit back, relax and watch the trained professionals pose and capture your little one. Do your travel to the photographer or do they come to you. This is a personal choice which would you prefer ? If you choose a photographer that comes to your home, you need to find out how much room they need. I have heard of parents having to empty out their dinning room just to give the photographer the space they require, also a lot of mobile photographers take newborns on the dinning room table. If you choose to attend a newborn photography studio, take into account how much easier it would be i.e No cleaning of the house / No clearing a room for photographers equipment and so on… Majority of studios will be relaxed, warm and welcoming and pre-set up for your newborn session. Many will have a comfy seating area for mam and dad to relax and watch. As we live in the UK the weather is not usually in our favor so always handy to know if the photographer has a private car park or where is the best place to park as you don’t want to driving around looking for space then having to walk there in the rain to the studio. Does the studio offer baby changing area and bottle and breast feeding facilities. You may have seen many examples of poses taken by photographers, discuss these with your photographer ask if they can meet your expectation safely. Most Newborn photographers would have an extensive range of props / backdrops and accessories but it is always good to make sure. Are you able to bring family heirlooms or sentimental props, some photographers do not allow the use of any personal items. Most popular newborn photographers tend to get booked up months in advance and start taking bookings from your 12 week scan on wards… It is important not to fall into the trap of thinking you can wait to book your photographer, if you wait you may end up disappointed as they may not be able to fit you in. Do consider when pricing up a photographer that they also have their own expenses, training costs, equipment cost, wages to pay etc. The most important cost to your photographer is your products and the price will reflect this, so think… if you are paying a cheap price for your session and products you will probably receive an inferior product. Prices can very from photographer to photographer some of which are charging for a package up front to others charging a booking fee (usually with no product) products are then purchased separately at the viewing session or through an online gallery, also please note that some photographers have a minimum spend in place. If you are thinking of hiring a top, qualified and award winning photographer including a Newborn safety certification who offer you a top quality service and high end product you should expect to pay in the regions of anywhere between £500 and £1000 for Wall art / Printed portraits and digital or you could take a chance with a photographer that is offering everything on a disc for as little as £100 . The more qualified and more in demand the newborn photographer is, the higher the price you would expect to pay. Remember photography is not unlike any other luxury items you purchase, such as a new kitchen or even a new car… For example If you purchased a brand new top end Jaguar straight from the dealer you would expect to have top quality and a high end service than you would, if you bought a little Nissan Micra from the side of the road. These are some of the very important things to consider before choosing the correct newborn photographer for you. Only then can you can be sure that the photographer will meet your expectations and give you the quality of experience you desire for you and your newborn baby, plus everlasting portraits and memories you will cherish for a lifetime.